Material:Iron ore, copper ore, gold ore, river gravel, limestone, granite, basalt, diabase, andesite,etc. Application area:mining, coal, garbage and construction waste recycling, earthwork, urban infrastructure, roads or construction sites and other venues operations. 1. Mobile Crushing and Screening Plant is a new designed rock crushing & screening plant, which is flexible, convenient and strong in mobility, so it can save a large construction capital and relocation. Raw Materials can be crushed at the local place without being transported again, and also can be moved with the further exploitation of the raw material, which saves a large number of transportation cost. 2. Fote Machinery specializes in producing crusher, screen and other mineral processing equipments. On the basis of professional technology, we optimize and introduce two large and three small series of crushing and screening equipment. Each large series is divided into three series: coarse, medium and fine crushing and screening mobile plant. Therefore, it can fully adapt to the various mobile crushing and screening requirements, and creates more new business opportunities for customers while reducing cost of production. 1. Equipments Integration: Complete set of equipment, rational and compact combination, maximally saving the working area. 2. High Flexibility: Small turning radius makes it convenient for driving on the ordinary road, and also easily moving in and out of the mining area. Besides, it can be transferred to another working area anytime as needed, thus, eliminating the drawbacks compared with fixed crushing plant on dismounting, transporting and installation. 3. 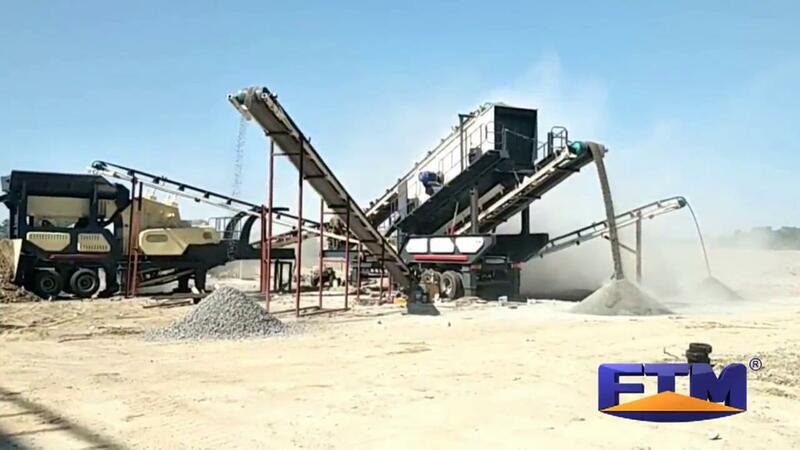 Saving transportation cost of raw material: The Mobile Crushing and Screening plant can enter the mining area to work directly so that saves the cost of the raw material being transported away from the mining area. 4. Flexible configuration: According to different requirements of customers, we are providing a targeted mobile crushing plant configuration. It can operate with one single crushing station, and also can work with multiple crushing plants. It is can either crushing with one single plant and also composes multiply-stage crushing, screening and other plants work jointly. 5. Independent power generation system: The mobile crushing and screening plant can equip a generator accordingly so that can work normally in the non-power supply’s remote border district. 6. Reliable quality and stable performance: With more than 20 years’ crushing equipments manufacture experience, facile, nimble, reasonable mobile frame, strict debugging before leaving the factory, ensuring every mobile crushing plant operate stably with reliable performance.